The Most Requested senior healthcare guide for more than 30 years. Because The Road To Recovery is hand delivered by a trusted healthcare professional at the time of need you will not find a more effective use of your advertising dollars. For over 30 years, the Road to Recovery has been helping seniors and their families during their time of need. 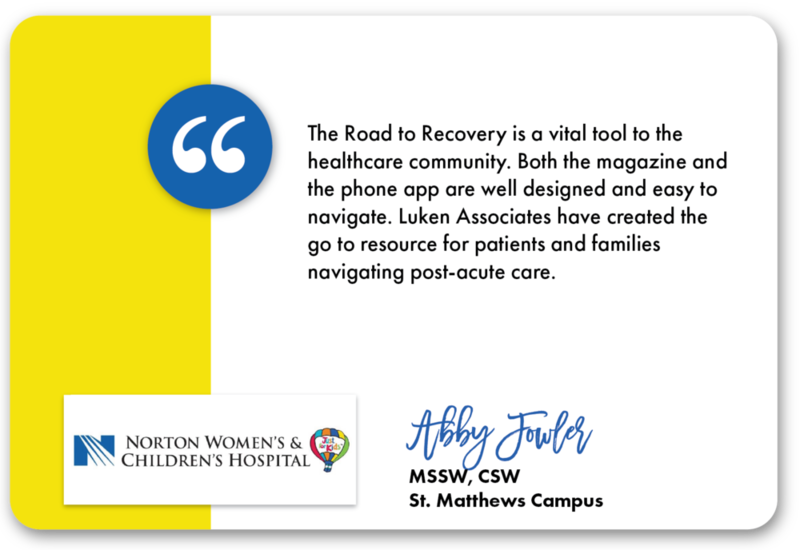 The Road To Recovery is hand delivered by a trusted healthcare professional as a medical resource guide, not a lifestyle and leisure magazine. Seniors and their families are able to navigate services available to them as they prepare for a future hospitalization or surgery and as they transition into after care services. The Road to Recovery is Kentuckiana's # 1 Guide for Navigating Senior Healthcare and is found at organizations below. 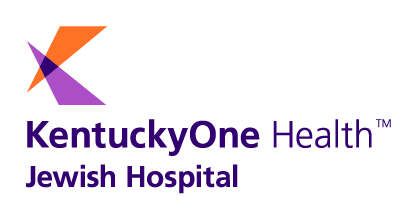 The guide is hand delivered at the time of need by the discharge planner and is distributed in every Louisville Acute Care Hospital. 40,000 copies all hand delivered at the time of need. Request an instant download! View the Road to Recovery advertising rates and participation agreement by providing your information below.